Home Press Center Hey Facebook, What About the Rest of the Haters? Hey Facebook, What About the Rest of the Haters? Following Mark Zuckerberg’s purport this week that Facebook ‘does not allow hate groups’ and an ensuing media fiasco, the company appears to be finally taking early strides to bridge the gap between that claim and the reality – Facebook is plagued by hate groups. We welcome Facebook’s decision to remove white nationalist Richard Spencer’s bigoted pages. But, let’s not overstate this action: it’s a small and long overdue step on a long road. We flagged over 20 hate groups that we know of, including ACT for America – the largest anti-Muslim hate group – still running rampant across Facebook’s pages. 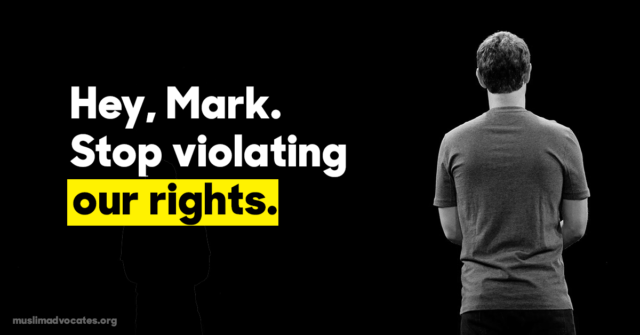 We fact checked Zuckerberg’s no hate group claim in a new video, available here.